Their Darkest Hour is a short fiction novel that looks at the multiple social identities of a woman (as wife, caregiver, supporter, employee as just a few of the roles.) Their Darkest Hour also deals with the hidden shame of domestic violence. 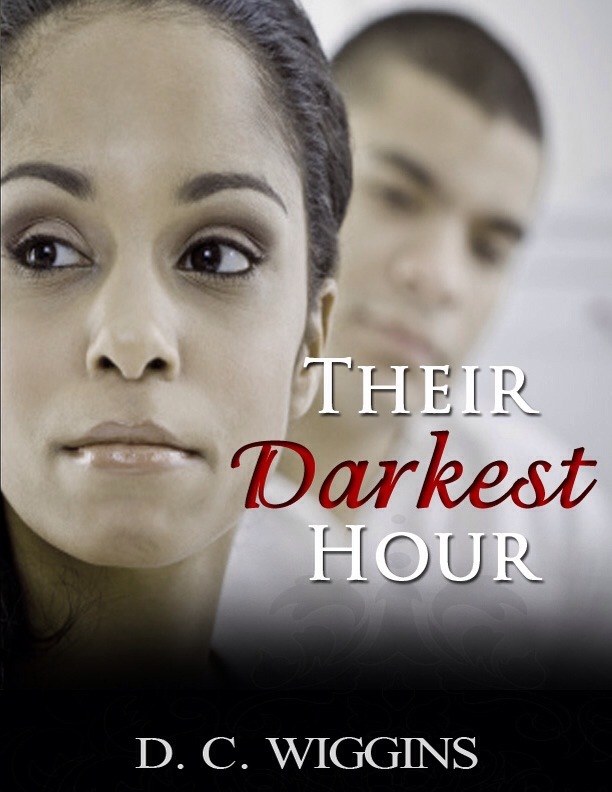 Inspired by true events, Their Darkest Hour tells a story of disappointment, pain, temptation, and betrayal. Will this couple learn the importance of truth and wisdom as they experience their darkest hour? 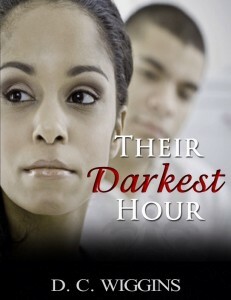 Their Darkest Hour by D. C. Wiggins, is 50% off during October only on http://www.smashwords.com/ with coupon code YV97D. This is in honor of domestic violence awareness month. 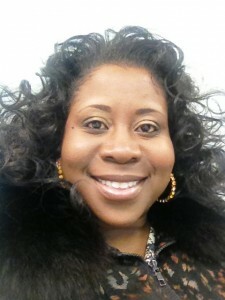 Dr. De’Andrea Wiggins is committed to helping you grow spiritually and excel professionally. She is the author of “Their Darkest Hour” and co-author of “Reboot Global Breakout: Small Group Study Guide”. Dr. Wiggins has been an educator since 1996 and has seven years of experience in diversity and inclusion. A dynamic speaker and expert facilitator, Dr. Wiggins has presented at corporations, universities, and churches across the United States and Canada. Dr. Wiggins is the Interim Director for the Office of Diversity and Inclusion at the Wayne State University School of Medicine. She is also the vice-president of the Virginia Park Community Investment Associates. Dr. Wiggins serves as the Pastor of Small Groups for Impact Church, under the direction of Pastor Keenann R. Knox. She received a Bachelor of Science degree from Eastern Michigan University in African-American studies. Additionally, Dr. Wiggins holds a Bachelor’s and Master’s Degree in Theology, and has earned a Doctorate of Religious Education from Destiny Christian University. I want my readers to feel hopeful after reading Their Darkest Hour. I want them to know regardless of the circumstance they find themselves in, there is hope, forgiveness, and new beginnings. What inspired you to write about the issues of domestic violence? I was inspired to write this book because domestic violence is often difficult to talk openly about. This short novel provides the backdrop for deeper conversations to take place as individuals and groups explore the complexities of domestic violence and the roles of women at home and in society. How can we help to address this issue of domestic violence? It’s challenging because many people hide behind a mask as if all is well, when internally they are screaming to be free. How can you help? Prayer is our first line of defense. Pray that God’s will be done. Pray that all negative soul ties are broken. Pray that any areas of vulnerability are filled with the fruit of the Holy Spirit. Pray that by the Holy Spirit, you are shown how to be of greater assistance while protecting the person’s well being. Also mento young women and men about the proper roles. Mentor a young lady so that she understands her worth and knows not to accept any type of abuse in relationships. Mentor a young man so that he understands what it means to be a “suitor”, a gentleman, and a covering for a woman. Confront societal norms which accept or condone verbal, physical, or sexual abuse. Things will only change if you change. The time to do it is now. What is your current book project? My current book project is entitled “Almost Doesn’t Count”. It is also a fiction novel, yet this one looks at the obstacles urban youth face growing up in the inner city and completing their education. How did you come up with ideas for this book? I come up with ideas for my books based on real life experiences. Fiction allows readers to explore their own feelings through the lives of the characters. What are three things you wish you’d known before you reached where you are now?The three things I wished I had known before I reached where I am now is that (1) everyone needs mentors (2) create and follow a disciplined savings plan for the future (3) you don’t “go through” for you, but your testimony can bless someone else. What did you learn while writing this book? While writing Their Darkest Hour, I learned to just write, then revise later. It’s most important to get the information down first, then make corrections and even deletions later. If you could have dinner with three authors to talk with about their writing ,living or deceased , who would you invite and why? If I could have dinner with three authors about their writing, I would want it to be Ted Dekker, Frank Peretti, and Jerry Jenkins. These are all fiction authors who are Christians, yet their work is so compelling and rich with descriptions that encapsulate you in the storyline. I love to read their work. Good writers are also good readers!